The Interfraternity Council (IFC), hosted a Castle Point Terrace wide Barbecue on Saturday October 24th that the Brothers of Theta Xi participated in. The Brothers opened up the house to potential new members for tours, billiards, socials and games of ping pong. There was also a variety of food that was prepared by our wonderful Chef Theresa for the event. On October 18th the Brothers of Theta Xi hosted a Rush Event for potential new members by the name of “Root Beer, Brats and Tots.” The Brothers bought a Birch Beer Keg and cooked a bunch of Brats and Tater Tots for all to enjoy. There was a large turnout with around 20 potential new members showing up to enjoy the delicious food and drink and to watch some football and get to know some of the Brotherhood. The Brothers will also be hosting several more large Rush Events throughout the rest of the semester. 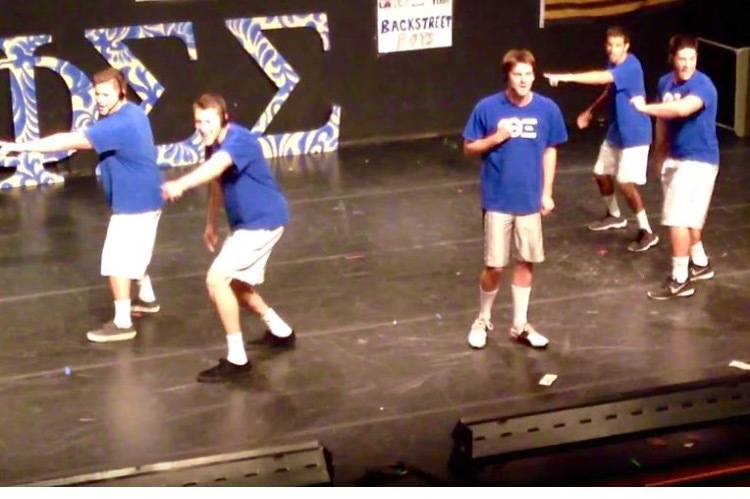 Craig O’Dell, Kyle Schnering, Joe Capretta, Jon Karkoska, and Nick Minervini all participated in this year’s Lipsync hosted by Phi Sigma Sigma. Phi Sig has been hosting this event for the past few years and all the proceeds go towards their national philanthropy. 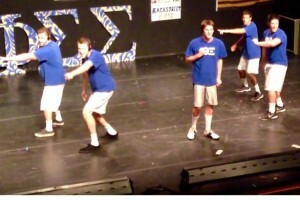 This year’s theme was best of the best and the brothers of Theta Xi chose the Backstreet Boys for their performance. Special thanks to Terez Lebron and Christina Sciarra of Phi Sigma Sigma, our team’s coaches, for helping us with our act and teaching us some dance moves. We look forward to participating in this event in the future. It was a great time for the performers and the audience! It has been a busy year for us at Theta Xi Gamma Chapter, and our national HQ has taken notice! associate member class breaking into a double digit member class for the first time in recent history. collaborating with the IFC to write a risk management program for events. next year. We’re coming for you, Kansas State!